On this coming May 17th. 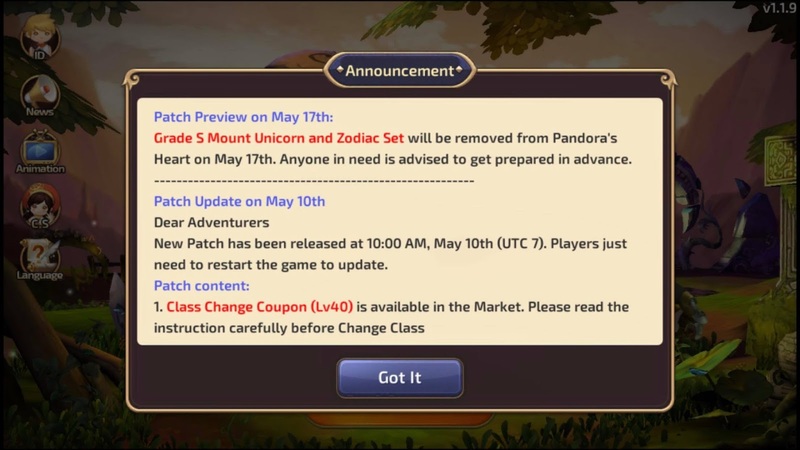 Grade S Mount Unicorn and Zodiac Set will be removed in the Pandora's Heart. We are advised to get prepared in advance. One of my friend rushed to buy load top up and get all out of his cash to get a pair of Pandora's Heart and Pandora's Seed. 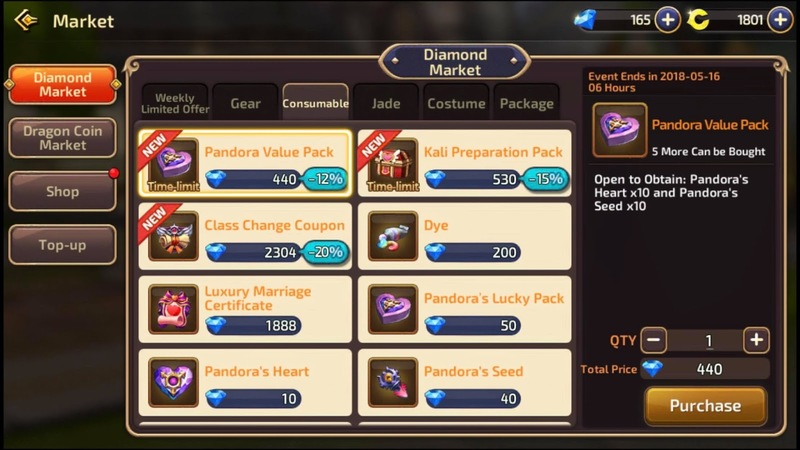 He purchased at the Diamond Market under Consumable tab the New Time-limited offer of Pandora Vale Pack at the current price of 440 diamonds with less 12%. He gets 30 sets of Pandora's Heart and Pandora's Seed, but sadly he didn't able to get any Zodiac Set. People will get really lucky to get this, even I will also happy to get some.. specially the Zodiac Wings.